Sweet addition to the room of a gymnast. 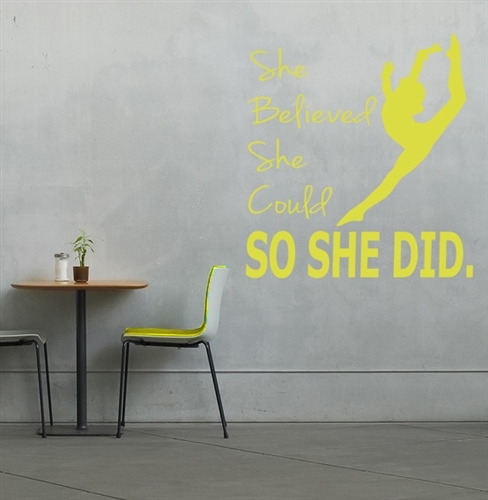 These huge wall decal are easy to use and do not damage the walls at all. It comes with instructions and video on how to are found easily on Youtube. Choose from our amazing color choice to make a perfect fit for your room! 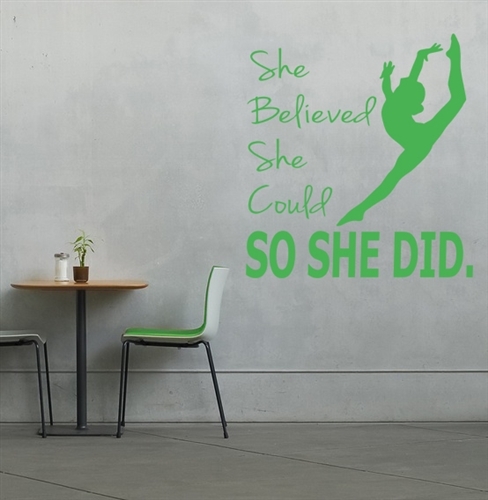 this she believed she could quote is also so motivational that it will bring good energy to the gymnast!